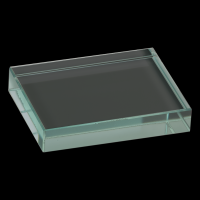 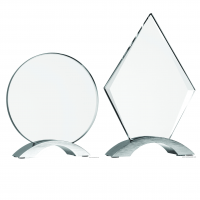 Select between six different variations of the Infinity Double Diamond Acrylic which comes with a Black Iron Stand. 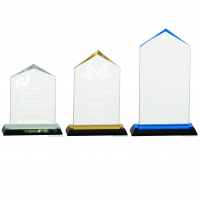 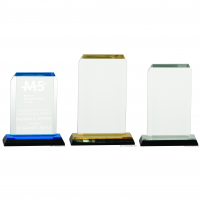 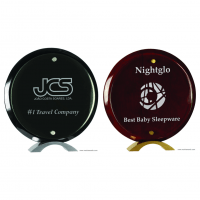 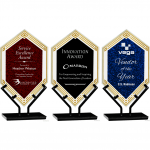 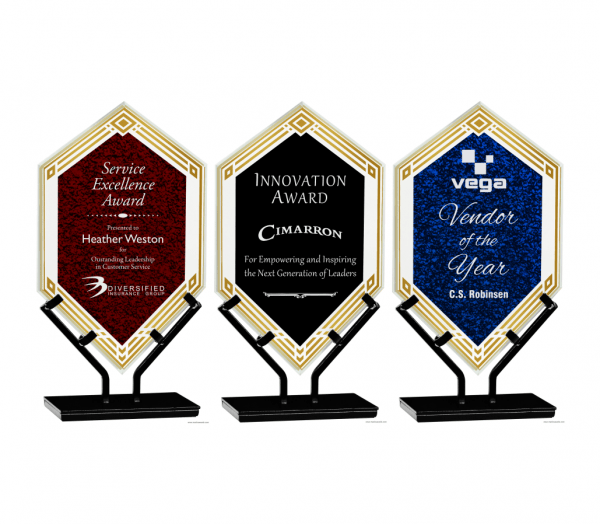 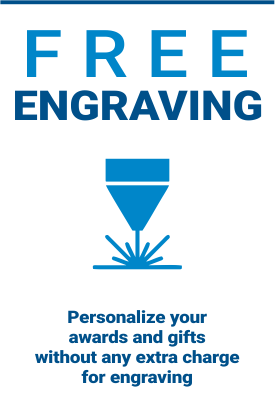 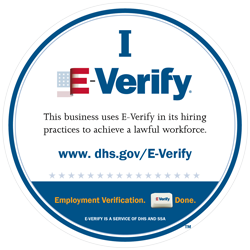 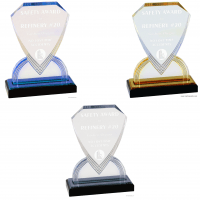 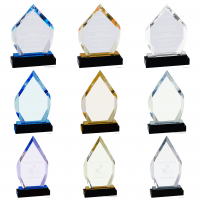 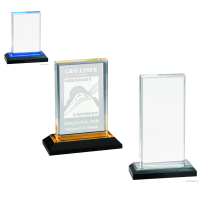 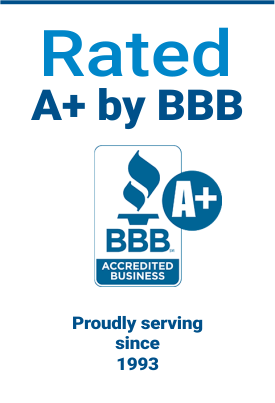 Laser engrave your logo and accomplishments into the face of the award as pictured. 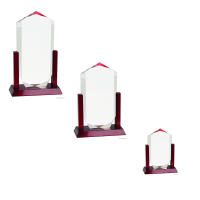 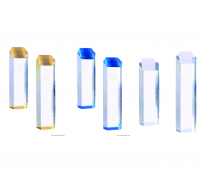 The thickness for these awards is 3/8″ ; and the height/width is displayed in the price table below. 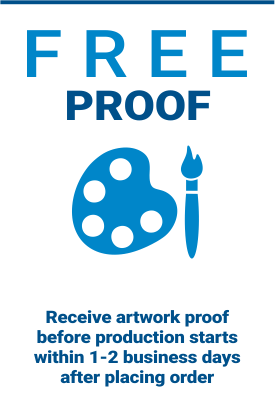 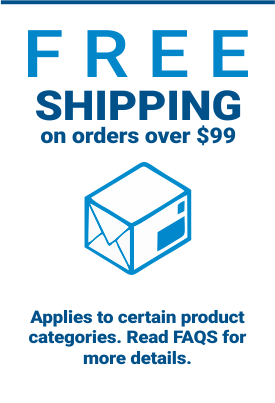 The more you order, the better price you'll receive!